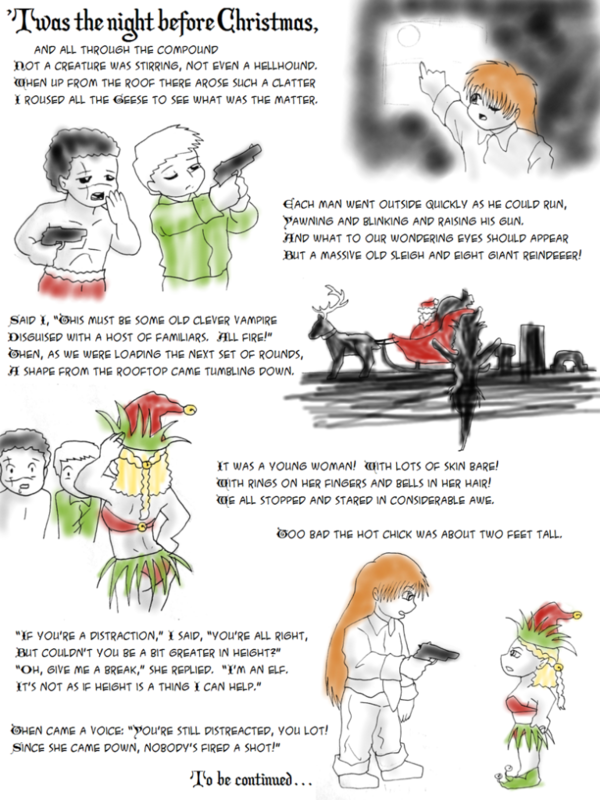 The Grinch – Hellsing Remix starring: Sir Integral as The Grinch Sera as Cindy Lou Who Alucard as Max and Walter as… um, some miscellaneous Who. But he cooks a mean roast beast. Coming to DVD and VHS December 32, 2004. 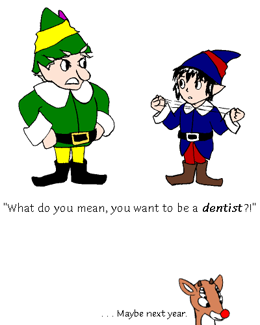 “What do you mean, you want to be a dentist? !” … Maybe next year. 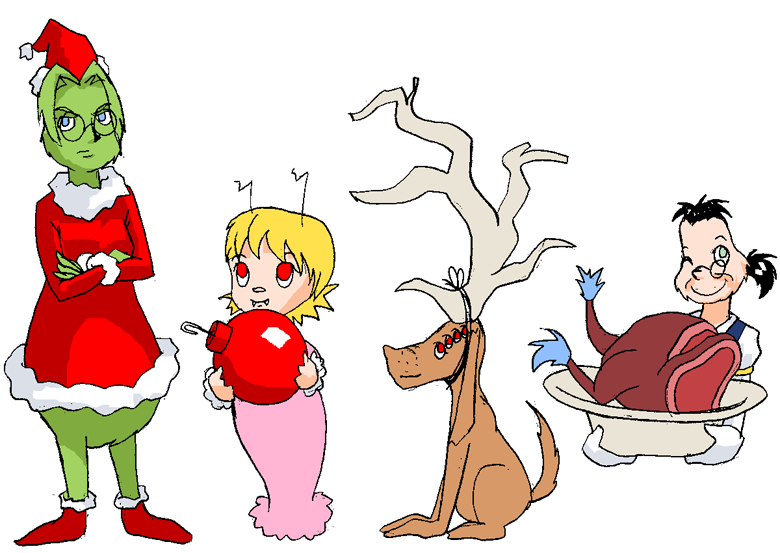 Unfortunately, I was too busy putting up this lovely tree to get a proper comic together. So instead, you get a photo. Oh, you need me to be funny, eh? Well, I’ll try. 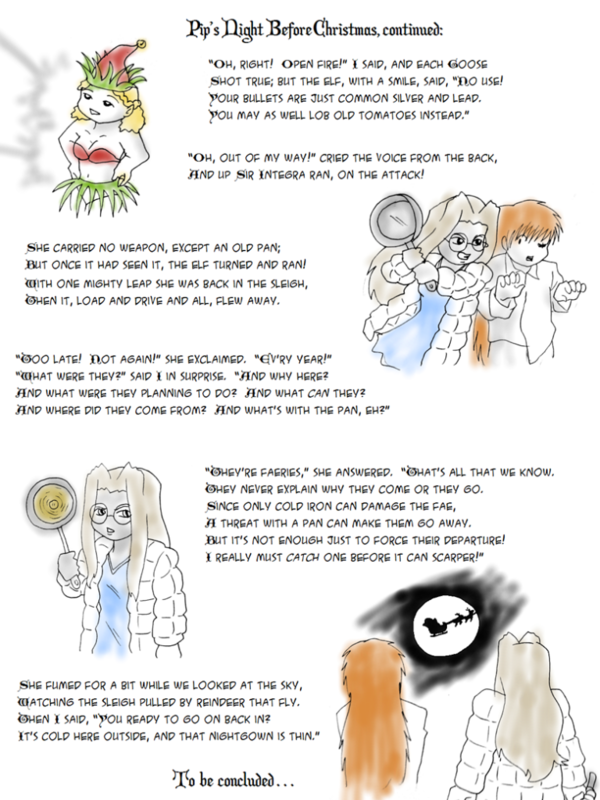 Let’s see… How about this one: Why are vampires easily fooled? Because they’re born suckers. No? Oh well. I tried. Note from The Future: A week’s worth of updates, condensed into one post.